Running Around Prospect | Adsystech Inc.
As this week’s snow storms releases a fresh layer of snow on the state of New York, CAMBA reminds us that spring is right around the corner as they recruit runners and walkers to participate in their “Healthy Way 5k and 10k”. 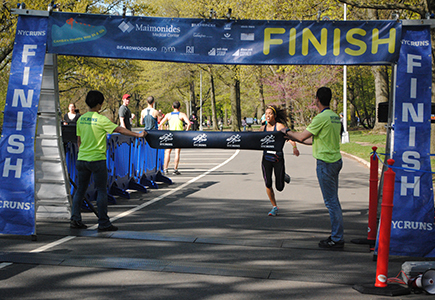 On May 1st, participants will run or walk around Prospect Park in Brooklyn, NY. This particular race will help raise awareness surrounding the 45,000 New Yorkers supported by CAMBA’s life changing services. Already boasting many Gold, Silver and Bronze sponsors, like every other year, CAMBA looks forward to bringing the local community together in support of a cause in addition to having fun. Thanks to the pros at NYC Runs, the Healthy Way 5k and 10k are electronically timed and chipped with awards for the top three male and female runners overall, as well as by age groups. Afterward, each participant can look forward to finishing the race with some swag! Volunteers will also be thanked for their participation with a $25 credit towards a future NYC Runs race.